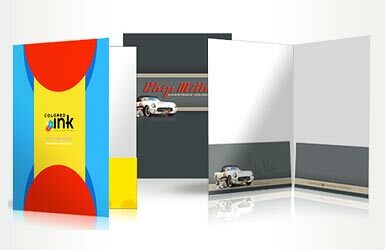 Make your presentation stand out from the crowd with custom printed presentation folders. Available in a great variety of shapes, colors, sizes and applications, presentation folders are sure to add a level of professionalism to an otherwise stagnant sales technique. If you can think it, Horizon can print it. With our highly competitive pricing and fast turnaround you are sure to make Horizon your go-to place for all your printing needs. Contact our knowledgeable staff and see just how easy and affordable presentation folders can be for your business.